Welcome to Maury County. We hope you’ll stay a while and if you do you’re going to need a place. Luckily, there are lots of great options from hotels to b&b and campgrounds as well. 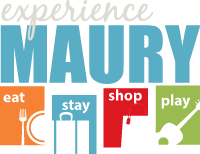 Looking for a particular location in Maury? Drag and zoom the map to pinpoint the right lodging for you.